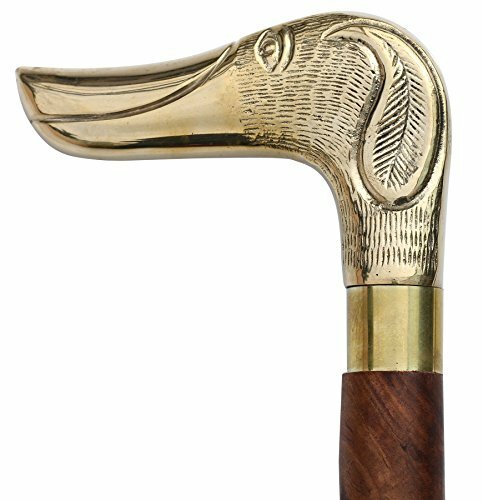 37'' Premium Quality Rosewood Canes and Walking Sticks Brown & Golden, Solid Brass Dachshund Dog Head Handle - Wooden Stylish Walking Cane Fashion Statement - 12 Days of Deals by Alwish India at Wow In The Details. MPN: MRBD-005. Hurry! Limited time offer. Offer valid only while supplies last. View More In Decorative Canes. If you have any questions about this product by Alwish India, contact us by completing and submitting the form below. If you are looking for a specif part number, please include it with your message. SABKraft Walking Cane for Sale- 37” Vintage Fritz Black Sheesham Wood with Silver Handle Walking Stick for Men and Women. Wooden Decorative Canes and Walking Sticks.